The Urticaceae is a family of 45 genera and 700 species of widely-distributed dicotyledenous flowering herbs, shrubs and small trees. The family takes its name from the genus Urtica, stinging nettles. The simple leaves may be alternate or opposite and may have serrated edges. Flowers are small, unisexual and without petals, but both sexes occur on the same plant. The simple stype is unbranched. They are carried on cymes produced from the leaf axils. Fruits are small dry seeds or drupes. Many species bear specialised stinging hairs and should be approached with caution. Members of the genus Laportea take this to extremes with poison including formic acid contained in barbs on the stem or silicaceous hairs. The Australian Laportea gigas (Giant Stinging Tree), Laportea subclausa and Phillipine Laportea luzonensis are especially virulent with long-lasting effects. The genus Obetia is similar. 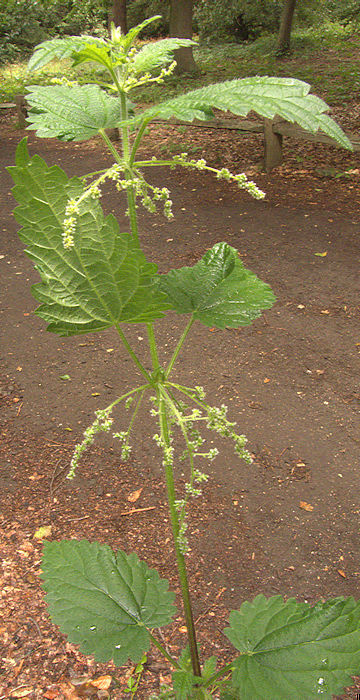 Extensive use is made of Urtica species in European herbal medicine and sometimes for the edible green leaves. Boehmeria nivea (Chinese Grass) is cultivated as a source of fibre for textiles and paper. Urtica species accumulate metals from contaminated water and ground and are good candidates for detoxification systems. The accumulated materials can be recovered from harvested plants. 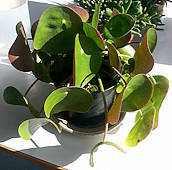 Succulent genera: Pilea and Sarcopilea. 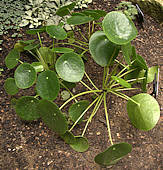 Pilea species have no stinging hairs. 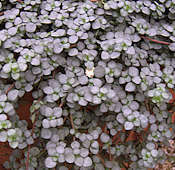 Some are grown as small houseplants for their attractively variegated foliage. Their small size and inoffensive nature makes them suitable for bottle gardens and terrariums. 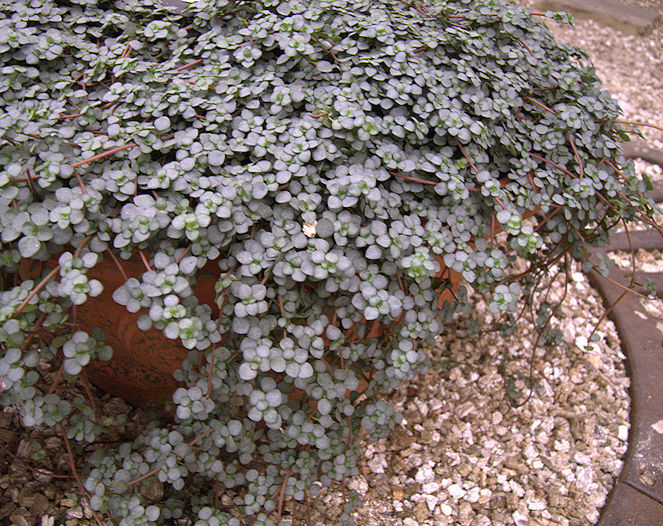 A few creeping species have fleshy leaves and are just about of interest to succulentophiles. 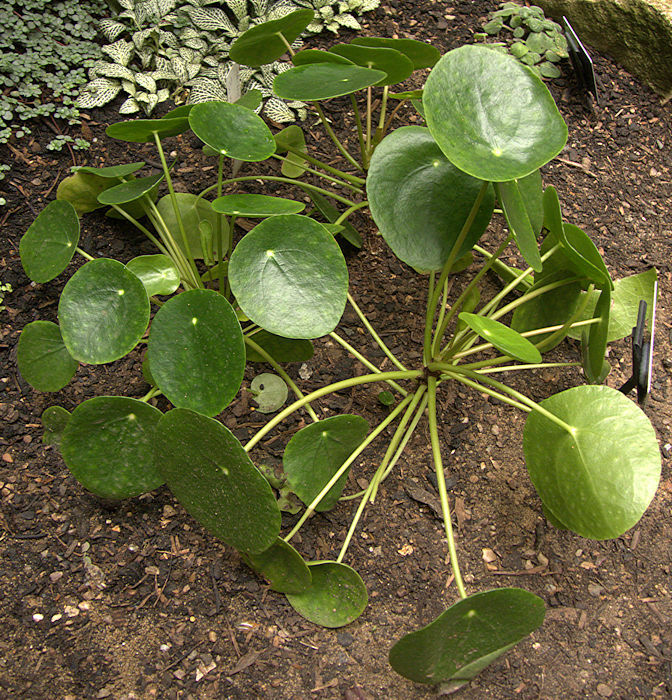 Pilea species are distributed throughout the tropics, especially the West Indies. has rounded somewhat-succulent glossy peltate leaves on thickened upright stems that branch with age. Leaves are lost from the lower portions of the stems. Native to Yunnan Province of China. It is an undemanding house-plant and is fairly common in cultivation.